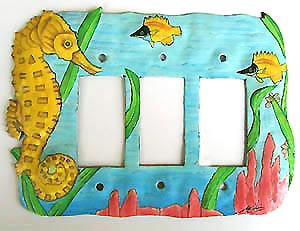 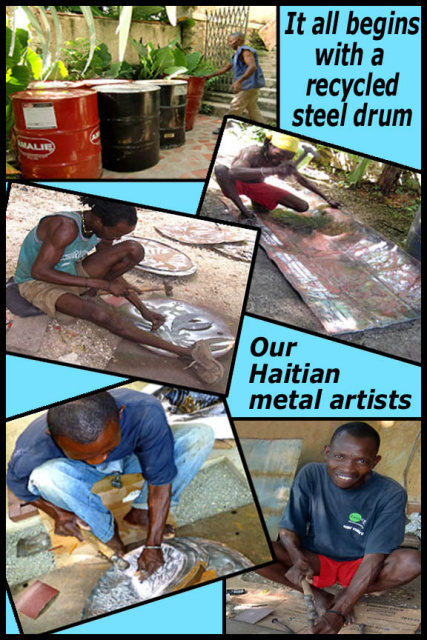 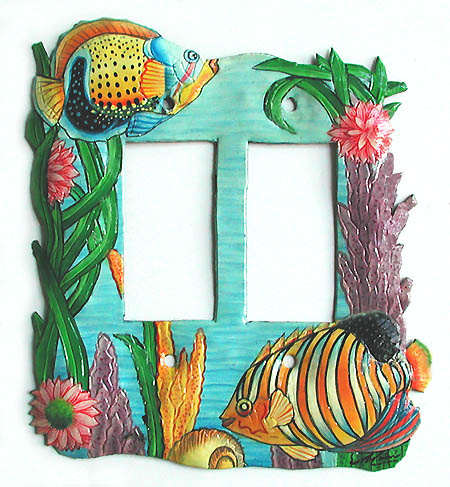 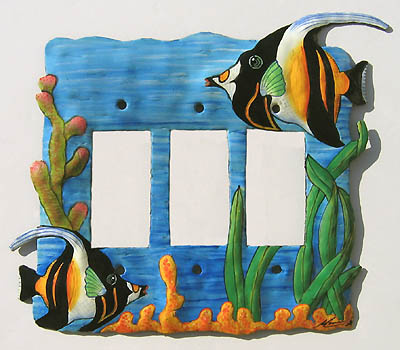 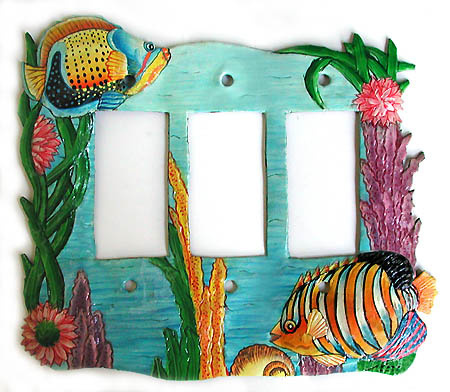 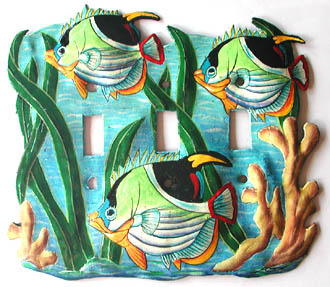 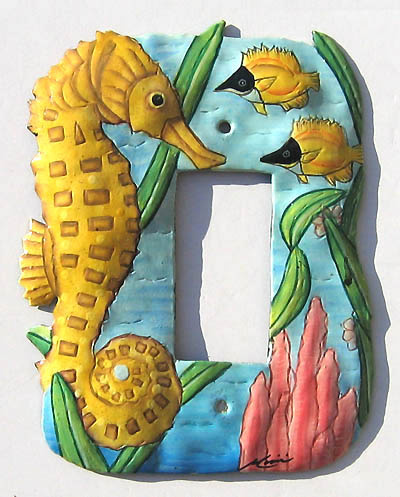 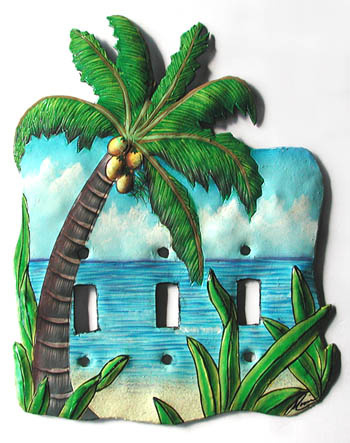 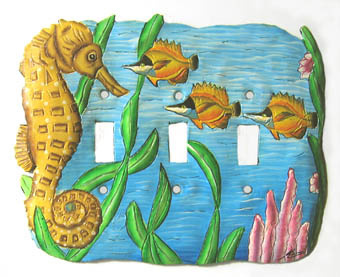 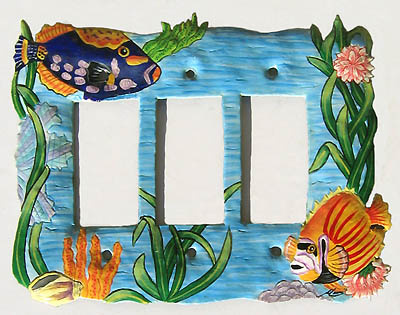 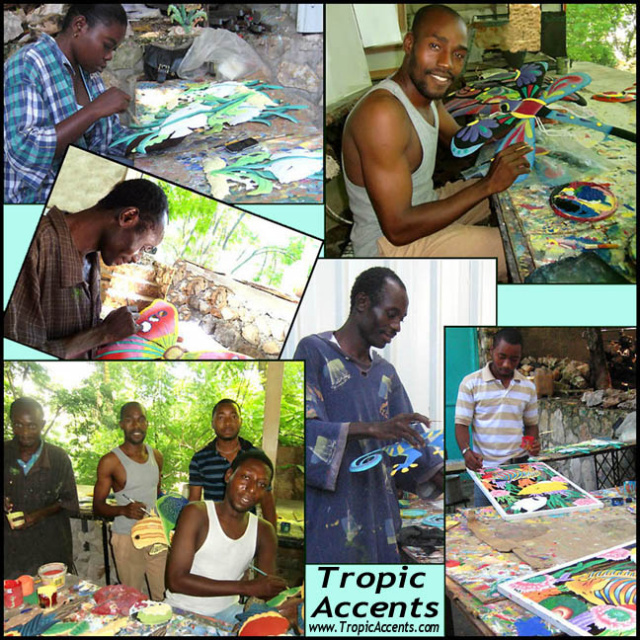 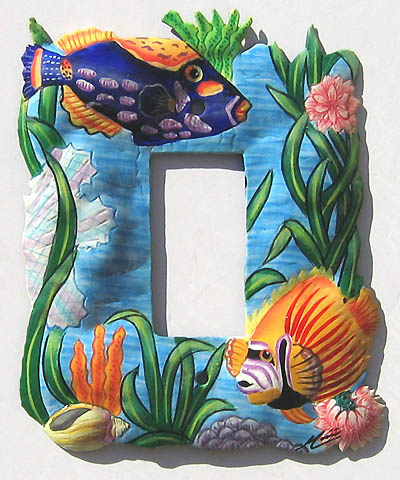 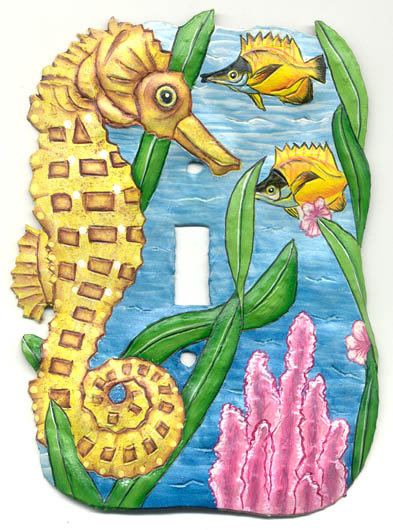 All of our hand crafted decorative switchplates are hand cut from recycled 55 steel oil drums at our workshop in Haiti. 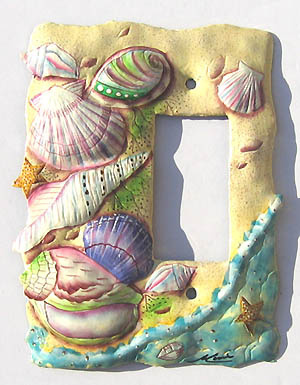 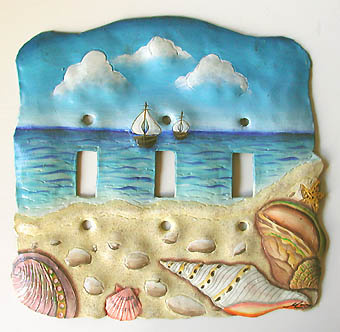 The details are pounded out to give dimention the the piece. 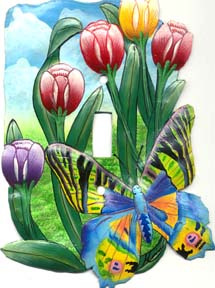 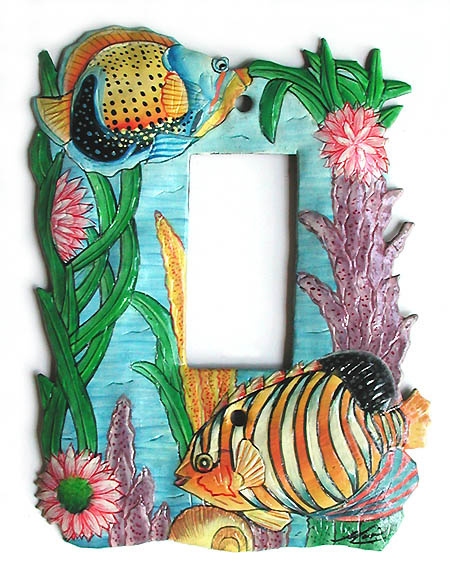 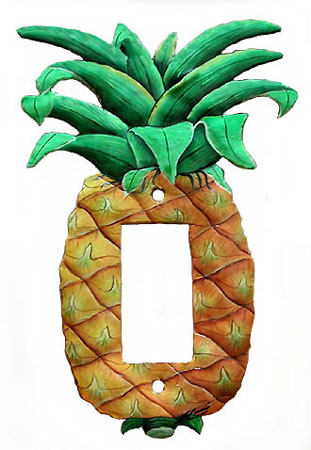 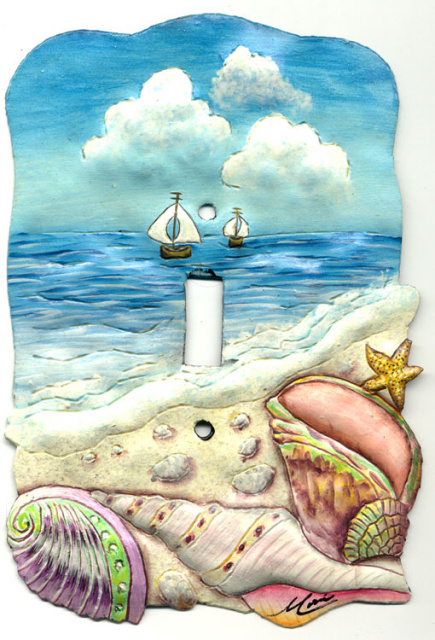 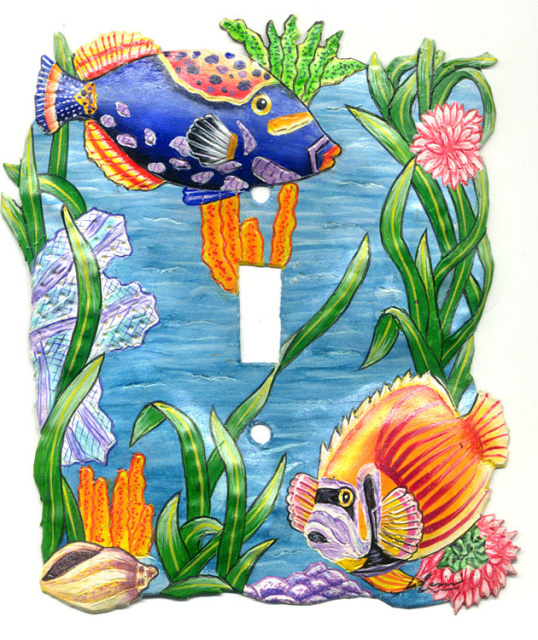 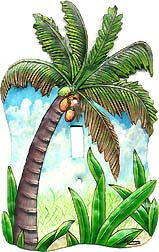 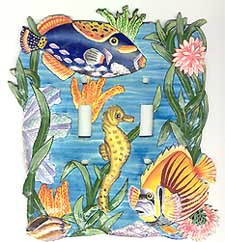 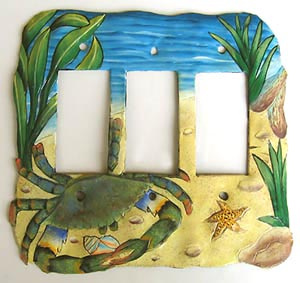 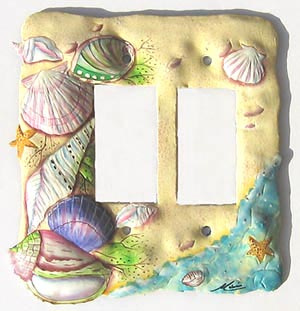 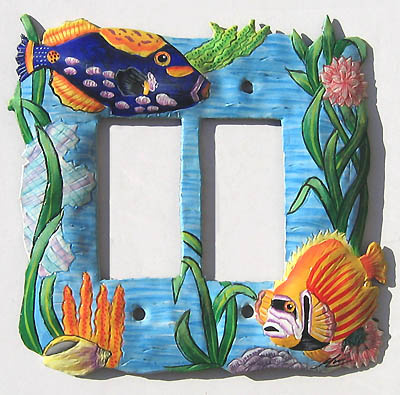 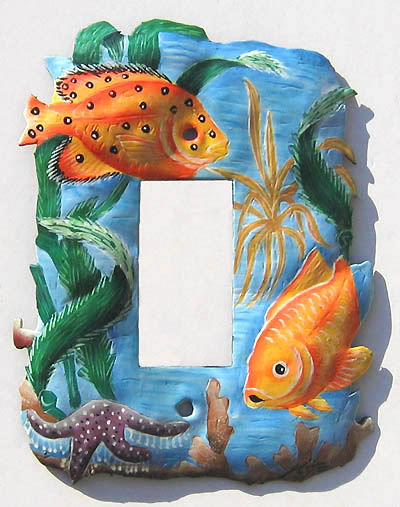 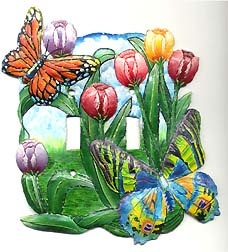 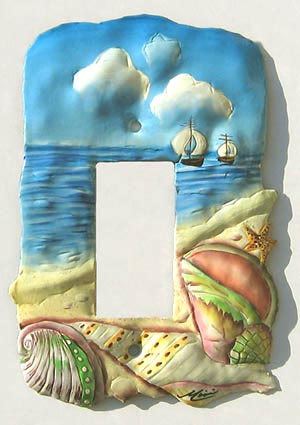 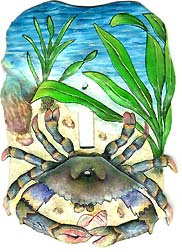 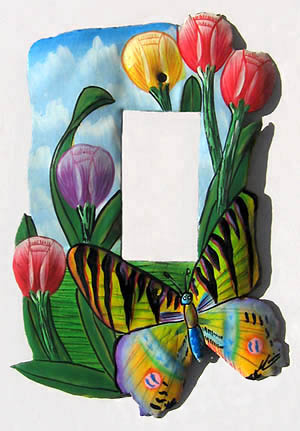 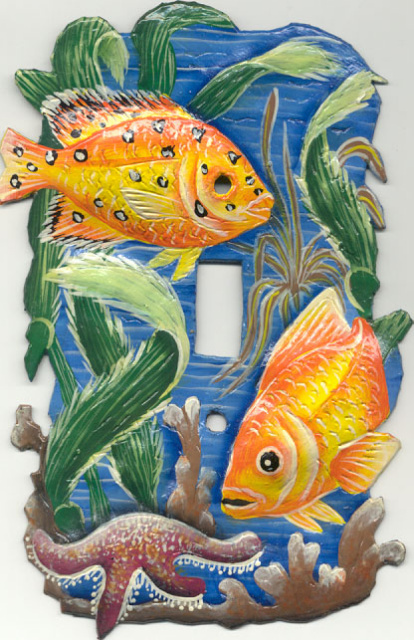 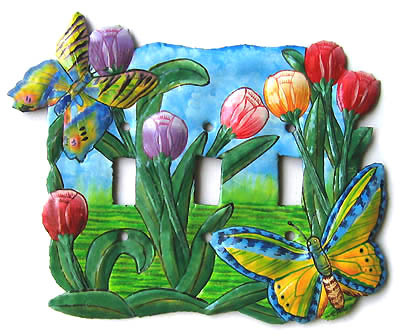 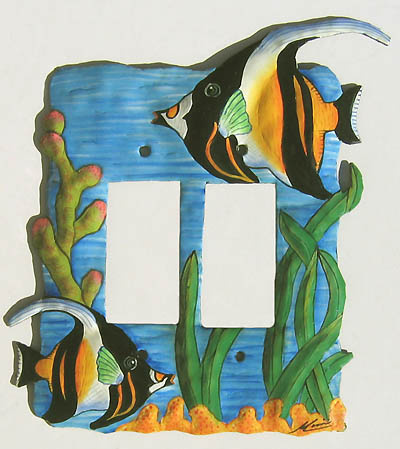 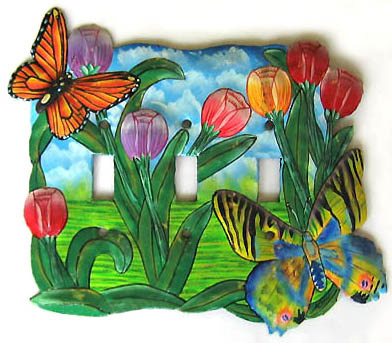 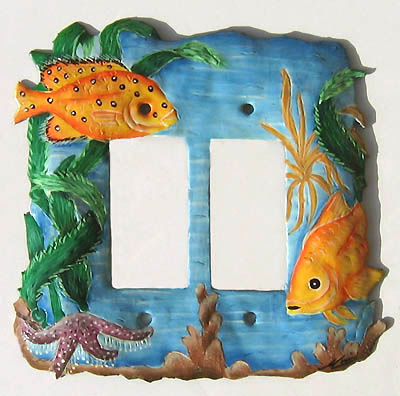 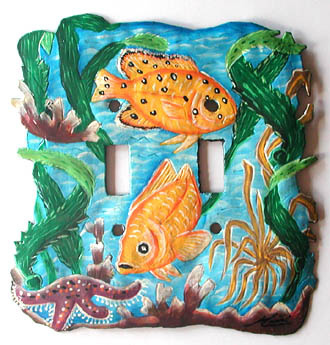 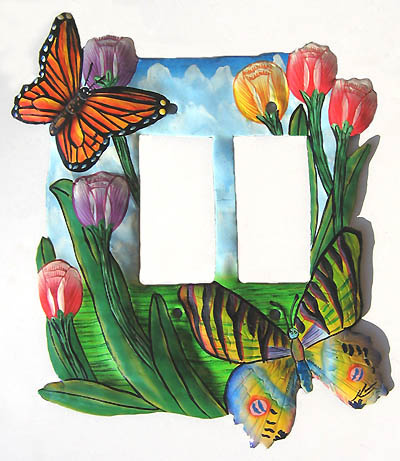 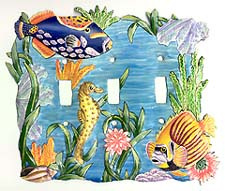 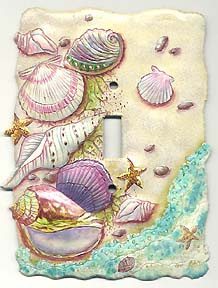 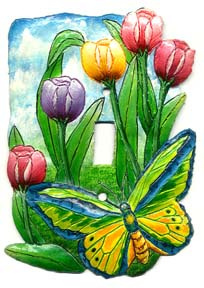 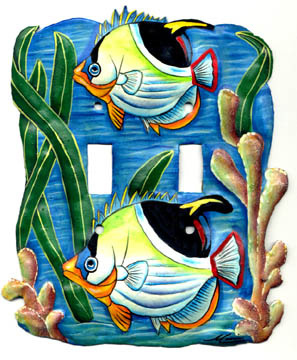 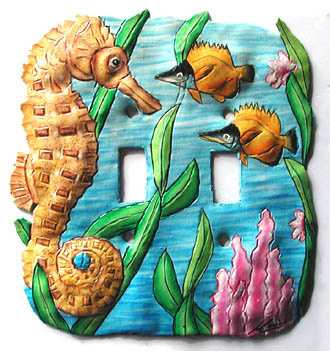 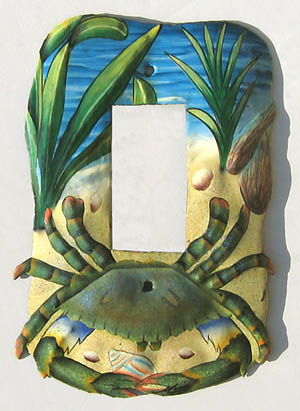 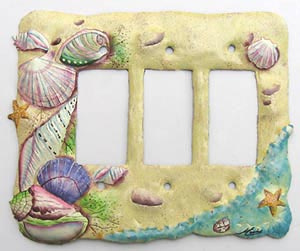 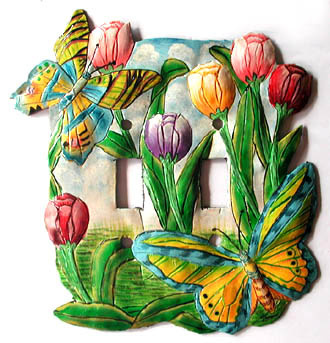 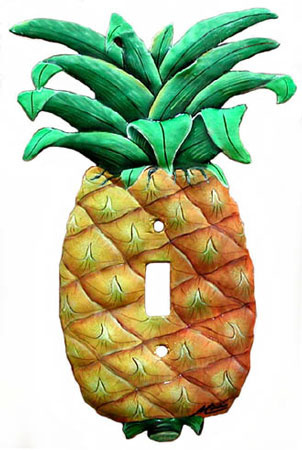 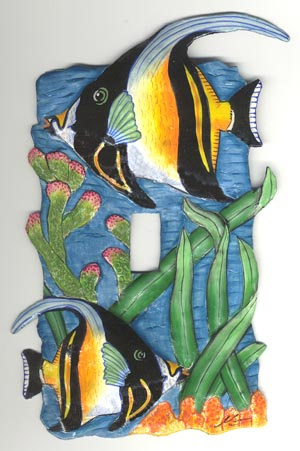 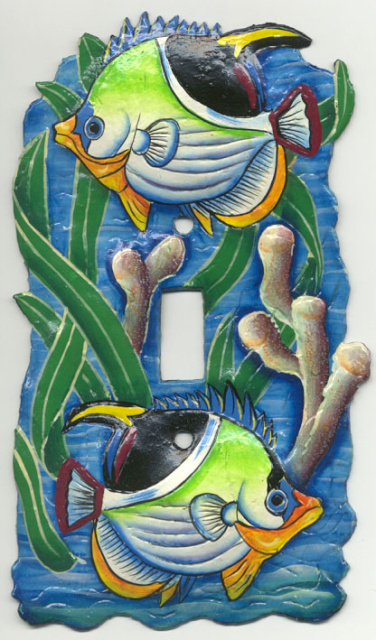 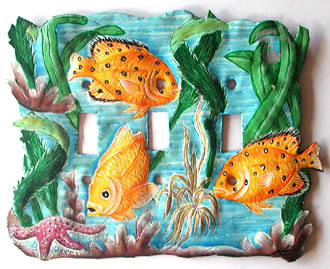 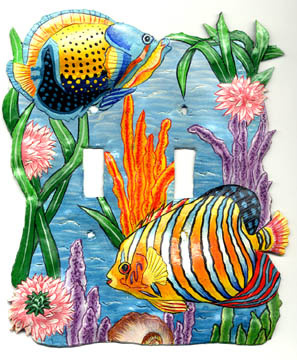 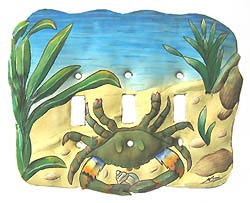 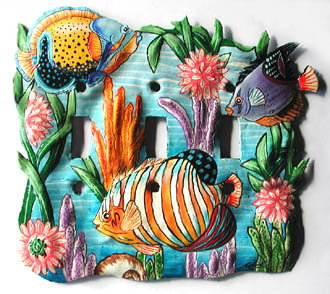 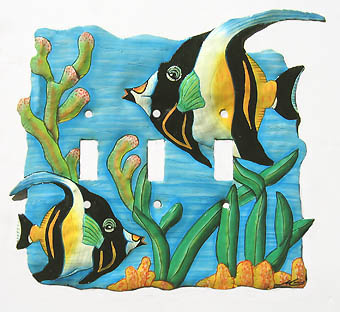 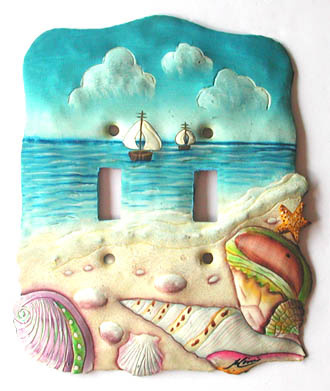 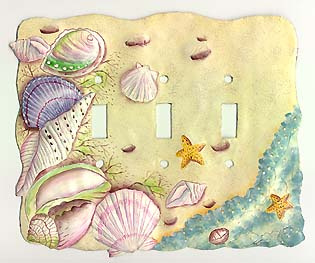 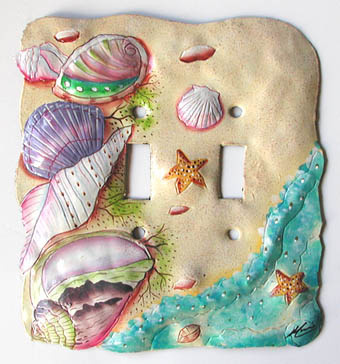 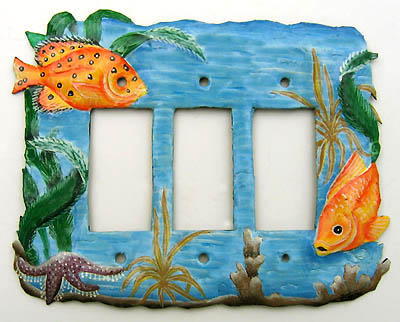 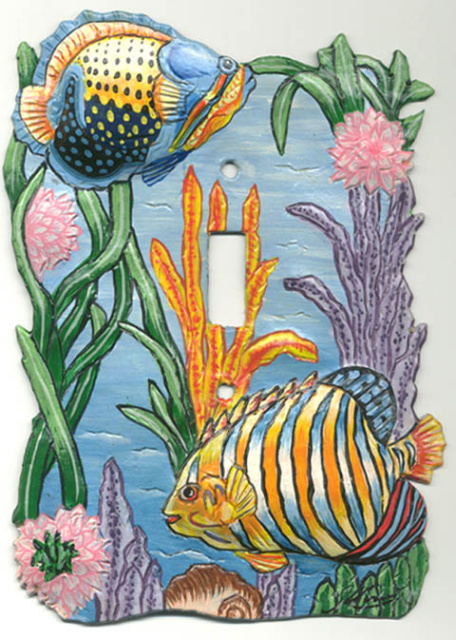 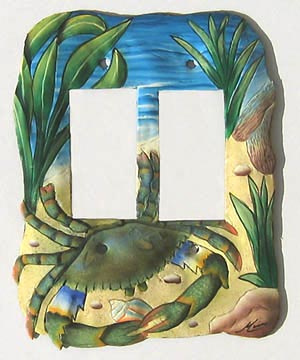 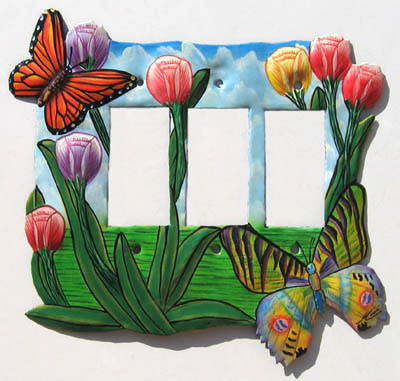 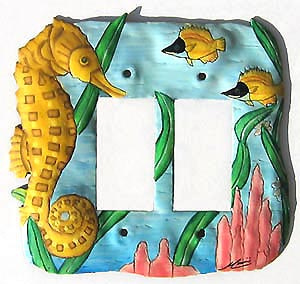 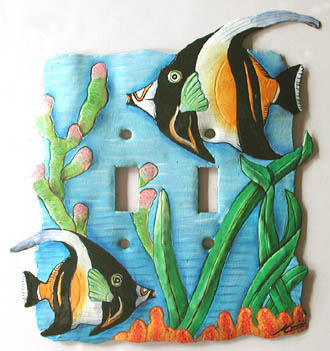 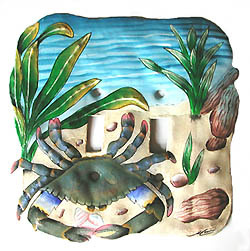 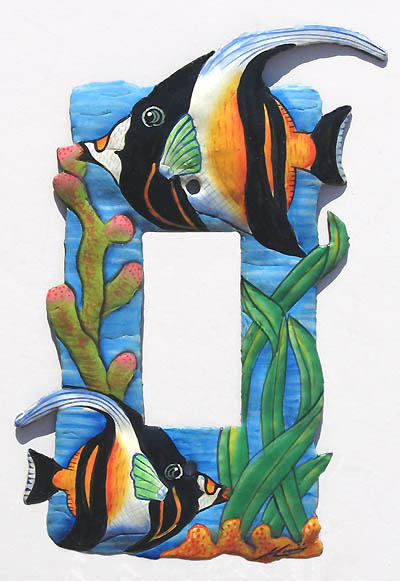 Each light switch plate cover is very carefully hand painted. 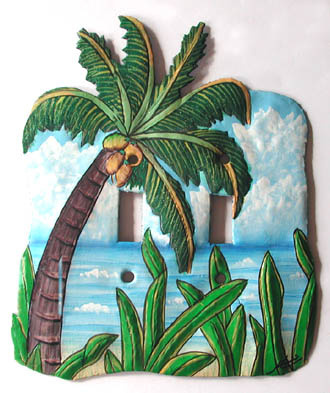 These fit your standard switch plate outlets. 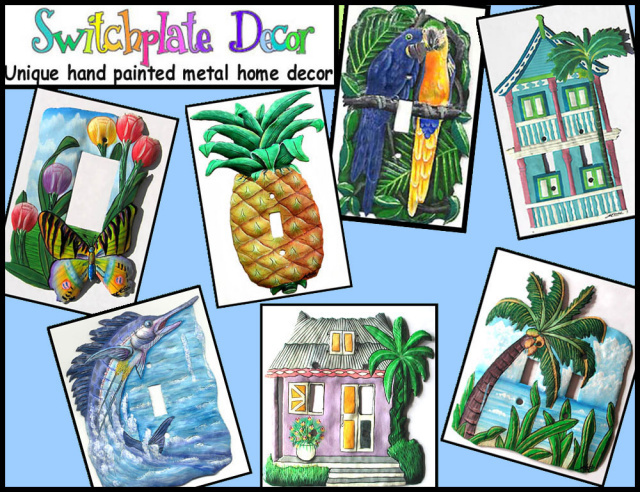 Click on a photo below for a larger picture, more information or to place your order.